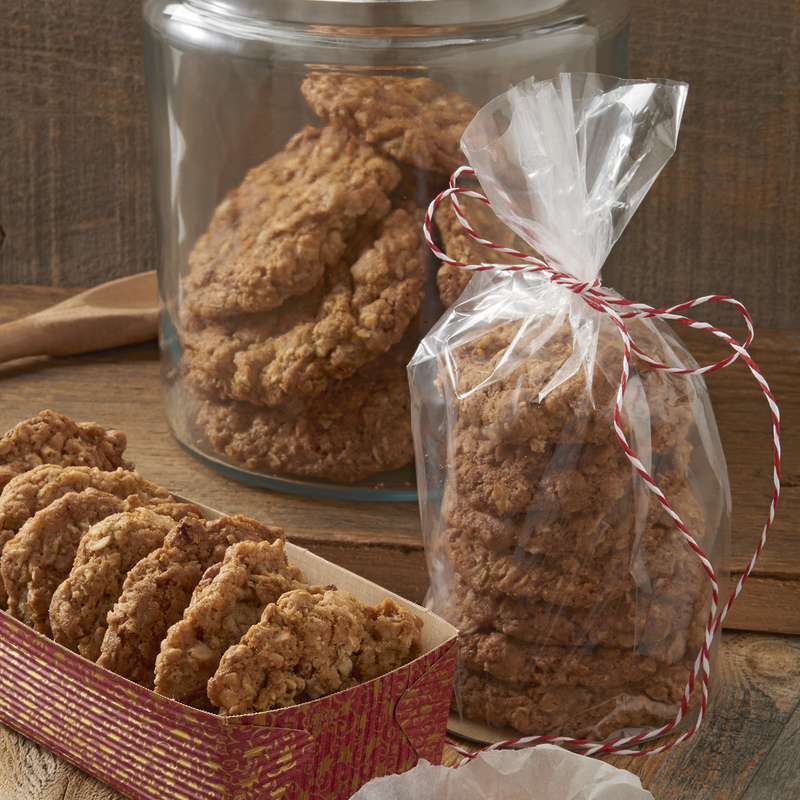 Delicious and soft these Oatmeal cookies are the perfect gift to remind that special someone of home. Preheat oven to 325 degrees, and grease cookie sheet. Fully cream butter, shortening and sugars until light. Add eggs and beat thoroughly. Add salt, baking soda, cinnamon and vanilla. Mix in flour, oats and pecans, combine well. Place rounded tablespoons of dough on cookies sheets, and bake 12-14 minutes.